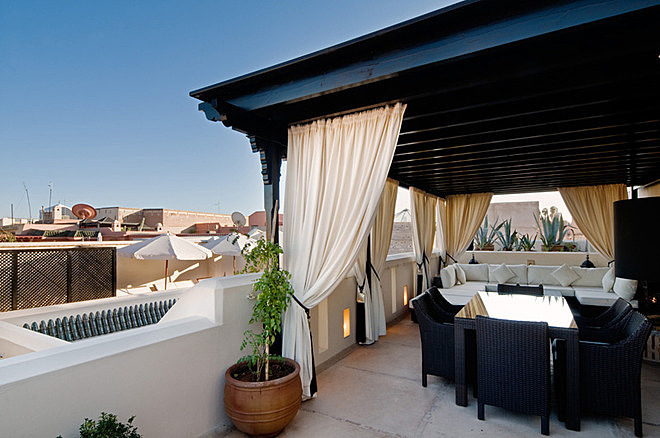 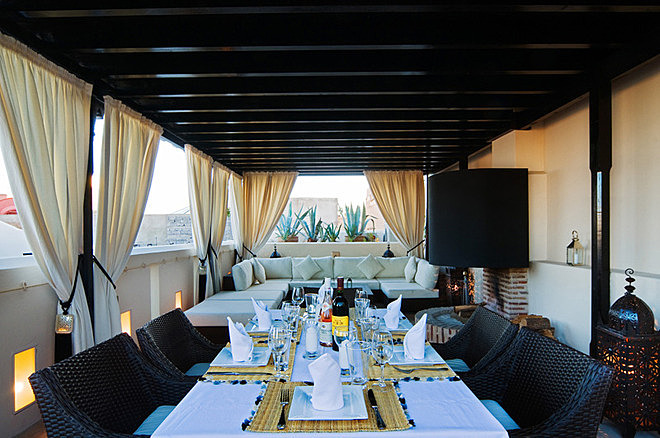 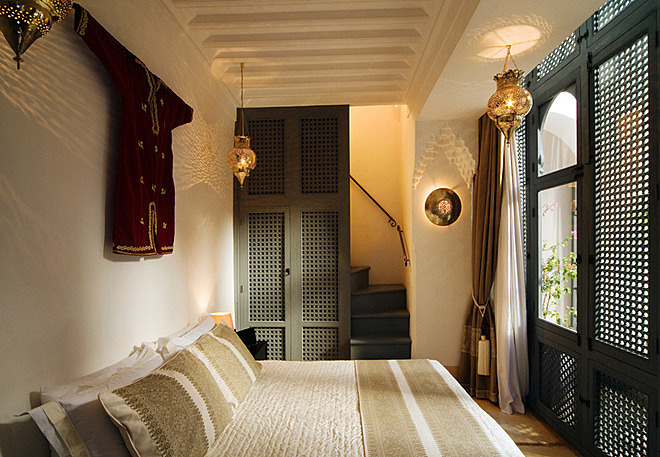 A contemporary riad in the heart of Morocco's medina, Riad Adore offers stylish decor and modern furnishings in a quiet location close to the souks and the Djemma El Fna. 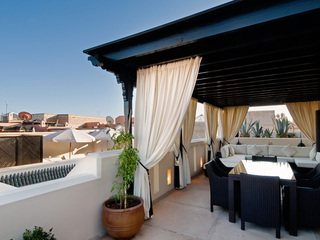 Perfect if you are looking for sophisticated accommodation within the medina. 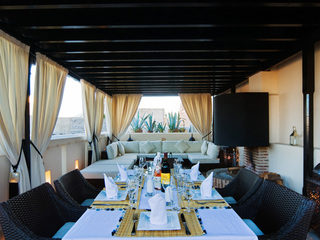 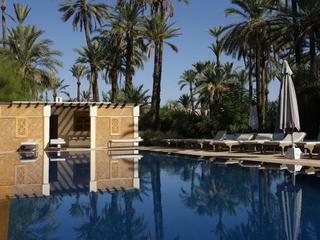 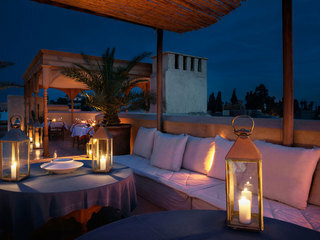 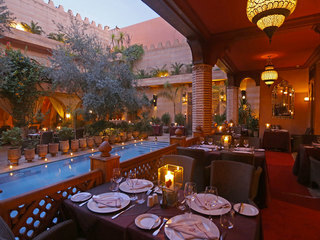 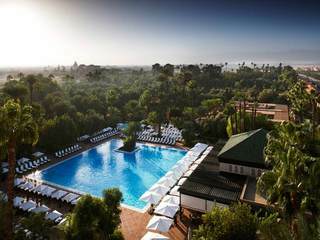 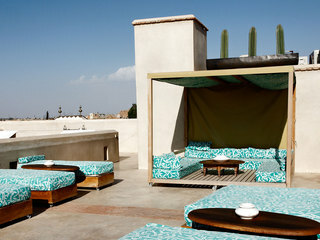 Riad Adore is situated north west of the Djemma El Fna, about a 10 minute walk. 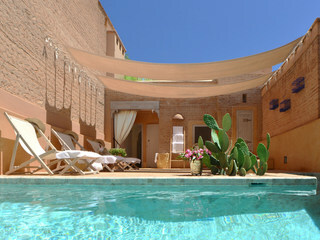 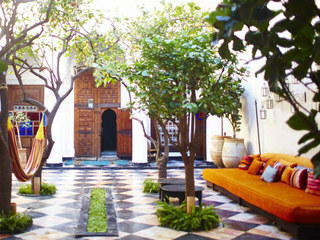 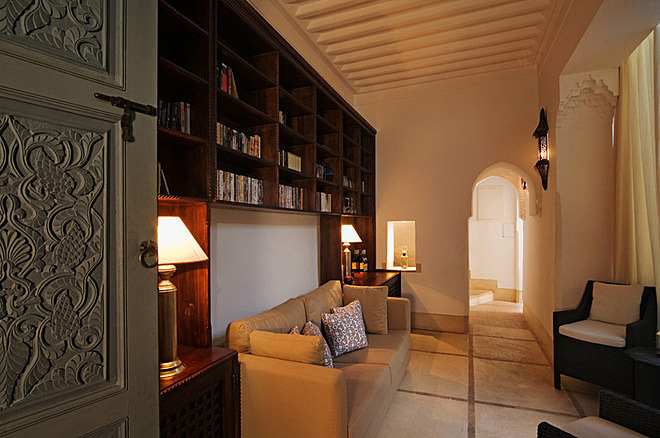 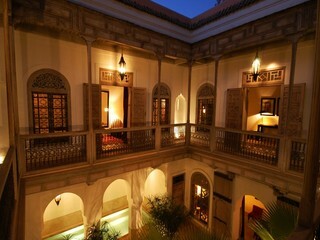 The riad has ten bedrooms, including two suites, all of which have their own unique and individual style. 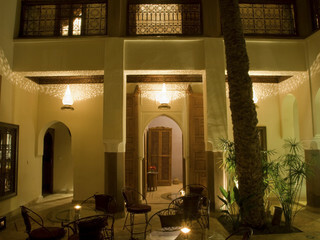 The rooms all look out onto the courtyard and there are several communal areas including a beautiful roof terrace (complete with open fire for cool nights and shade for hot days) There is also a small pool where you can cool off after a long day out in the souk and a lounge with an honesty bar. 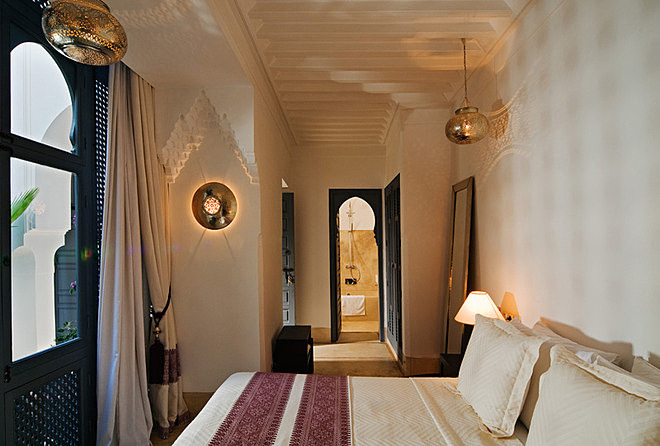 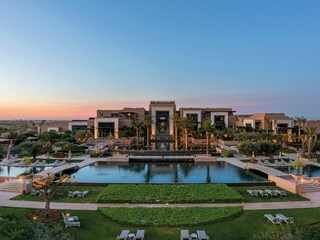 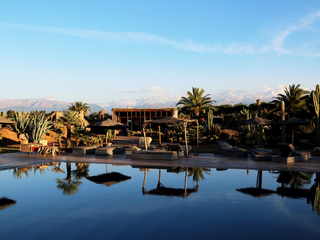 There are ten bedrooms in total, and they are all individually decorated in a chic and contemporary Moroccan style with antique kaftans on the walls, soft Berber rugs underfoot and stunning pierced metal lights and lanterns. 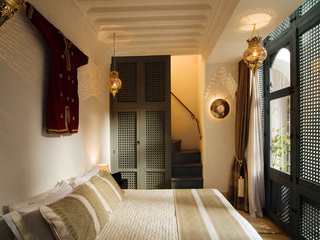 Ultra-comfortable beds, top quality pillows and duvets and high thread count bed linens make bedtime a luxurious treat. 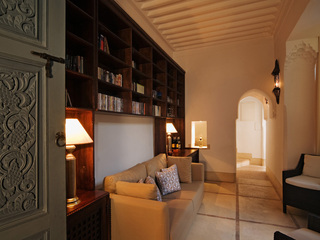 All rooms have air-conditioning/heating, iPod docking station, satellite TV and DVD player, a safe for personal effects and complimentary still mineral water is provided. 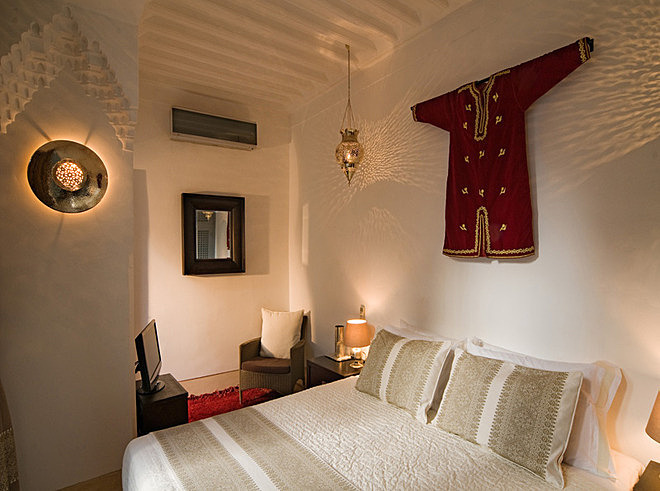 All the en-suite bathrooms have heated towel warmers, hair dryers, soft, fluffy towels, lightweight bathrobes and deliciously scented toiletries.